Hello!! Kamokin Wakayama Prefecture japan! I’m torn between taking eat Soba or Ra-men , but I ate a small size of tuke-kamo udon today. The photo is a small sized udon noodles, topped with duck double. What is duck double? Duck meat in the soup is increased. You can taste plenty of delicious duck meat. The duck taste also doubles. When ordering "tuke-kamo udon , duck meat in double!" When you say so, I think "You are used to how to order! I am sure you are a regular customer of our shop!" 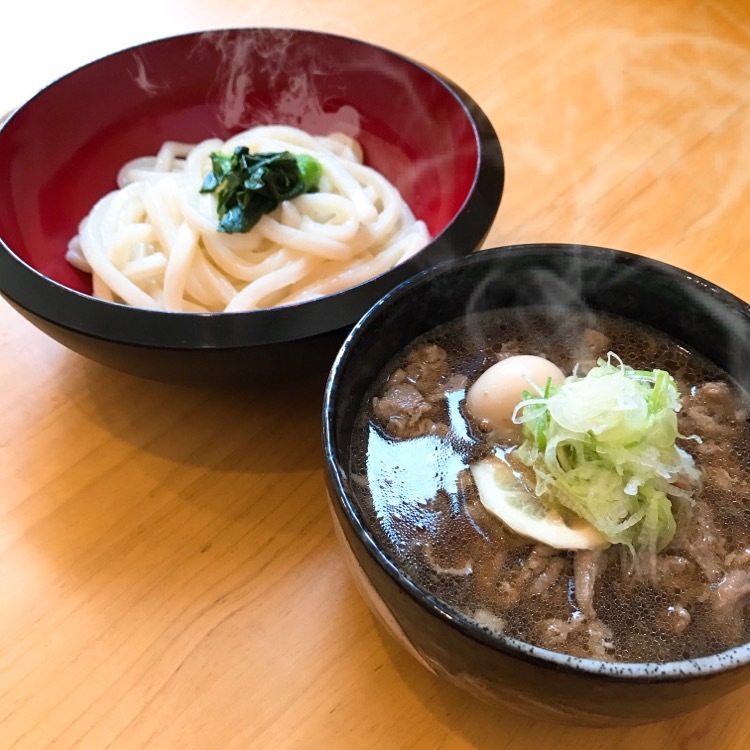 Our noodles are famous with recent tsukemen boom. Please eat up. see you!